In Lebanon yesterday as a car was filmed crashing into a telephone pole along route 4, and the crash resulted in the two arrests. 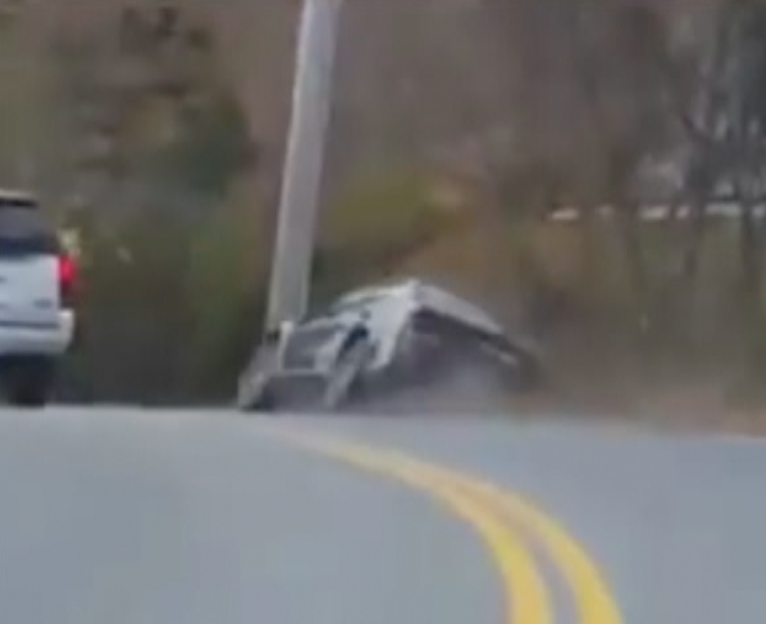 Witnesses to the crash obtained video of the incident which was released by the Lebanon Police Department shows the car veering into oncoming traffic shortly before the crash is filmed. The car then fails to navigate the corner and then smashes into a telephone pole. The driver of the Vehicle Jeffrey Caron of Plymouth was taken to Dartmouth Hitchcock for minor injuries, after an investigation, police concluded that Caron had been consuming alcohol prior to the accident. He was arrested at the hospital and charged with Reckless Driving and Driving Under the Influence. The passenger in the car Kellen Fitzgibbon-Bizel. If Thorton was arrested on the scene after he was found to be in possession of several prescription narcotics that were not prescribed to him. He was charged with five counts of Felony possession of a controlled substance. Both men were released on ten thousand dollars Personal recognizance bail. And are scheduled to appear in Lebanon district court on January 9th. Route 4 was shut down for several hours as crews worked to repair the damaged power lines.